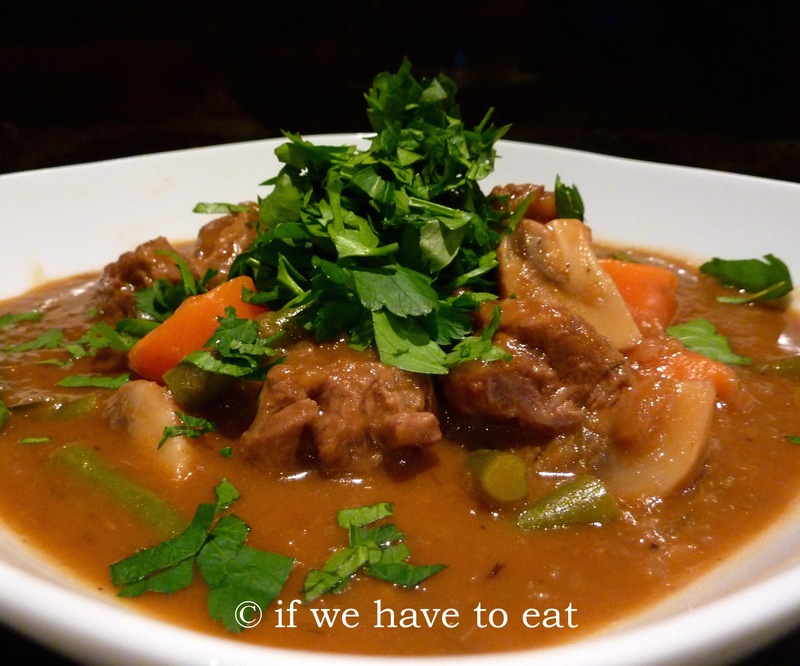 Here’s a new version of the beef and vegetable stew with less tomato and a thicker sauce. I’ve also added a few more flavourings with parsley, thyme, Worcestershire sauce and red wine vinegar. It’s a filling meal on its own or you can add a starch like mashed sweet potato, whole wheat pasta or polenta. This entry was posted on August 3, 2014 by ifwehavetoeat in Mains and tagged Easy, Mains, Make Ahead, Meat, Recipe, Stews, Thermomix.